The DNR Grants Unit’s website is currently accessible to all grantees. The website provides guidance on many pass-through grant administrative topics such as the reimbursement process, Attachment E land acquisition reporting requirements, and it also includes a frequently asked questions section. Templates, samples, and forms can also be accessed on the site. We recently added an Attachment E checklist to our land acquisition guidelines page to be used as a guidance tool prior to closing on land acquisitions and conservation easements. To visit the pass-through grants webpage, please go to http://www.dnr.state.mn.us/grants/passthrough/index.html. The website address will be posted on the top of each DNR Grants Journal. For more information or to suggest additions to the site, please contact your assigned DNR Grants Specialist. 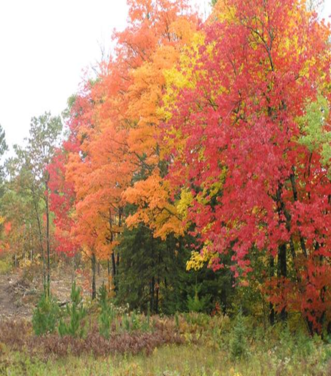 If your organization will be closing on a land acquisition or conservation easement, the earliest the DNR Grants Unit is able to transfer the funds is one day prior to the closing date. Grantees are given the option of having the funds transferred to their regular banking account or to their title company’s banking account. Please provide the appropriate banking information to your DNR Grant Specialist at least 10 business days prior to your closing date in order to facilitate a successful transaction. 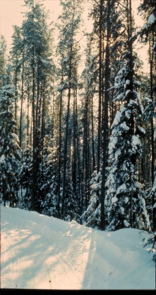 In the event a project requires services provided by the DNR, the grantee must submit a Use of Funds letter to the DNR in order to pay for those services. 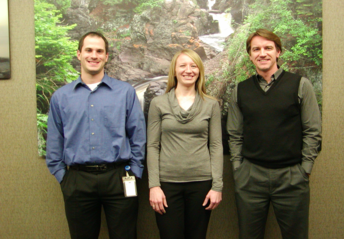 DNR service examples include appraisal reviews, restoration, enhancement, and other land acquisition-related services. The Use of Funds letter authorizes the DNR Accounts Payable Unit to pay DNR division staff with ENTRF or OHF project funds for services performed on the specified project. The required information in a Use of Funds letter includes the specific part in the accomplishment plan authorizing the work, the portion of the proceeds to be used by the State, the contact information of the State’s staff member assigned to do the work, the expected completion date, and a brief description of the nature of work to be performed. 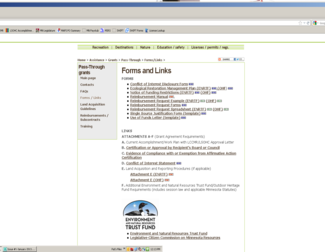 The pass-through grants website has a sample form you can use on the “Forms/Links” page. Please consider these costs when planning your project budget and submit your Use of Funds letter as soon as possible to avoid potential project delays. Grantees must have this funding in the “DNR Land Acquisition Costs” budget line item. 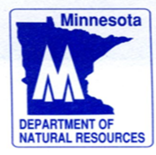 If your organization does not have funding earmarked for DNR Land Acquisition costs and plans to use DNR services in the future for a particular project, please notify your assigned DNR Grant Specialist and contact the Lessard-Sams Outdoor Heritage Council or the Legislative-Citizen Commission on Minnesota Resources to seek an amended budget to add funding to your DNR Land Acquisition costs line item. On behalf of the entire DNR Grants Unit team, we’d like to say thank you for all your efforts in preserving Minnesota’s natural resources this past year. The Grants Unit has really enjoyed working with all of you in pursuit of our mutual goal to protect, restore, and enhance land, preserve wildlife, and promote outdoor recreational opportunities in Minnesota. As we start 2013, we’d like to thank you for all your hard work and we look forward to continuing our partnership with all of you in the future.